Kim Posted a pic on Instagram earlier today recognizing her Husband’s latest achievement. Kanye West Genius and Hard work has Officially been recognized . 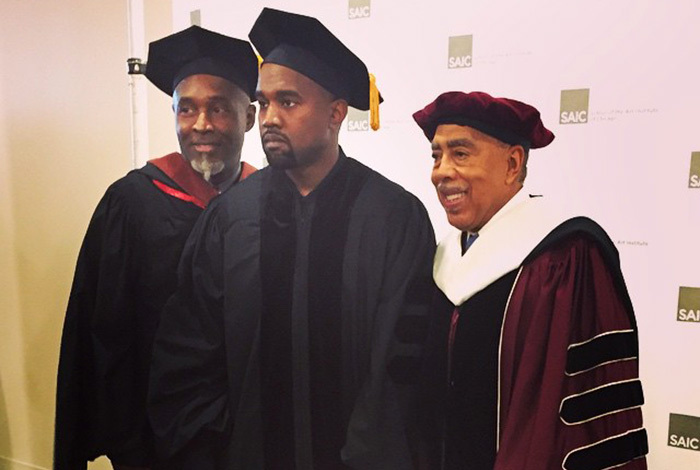 SAIC or School of the Art Institute of Chicago awarded Ye an Honorary Doctorate honoring him for his transformative, Genre-Defying work in Music & Art. I Know his mother Dr. Donda West has to smiling down from Heaven. Her College Dropout is now a College Graduate. Wont God do it. Checkout Video Below of Dr.West accepting his Degree from SAIC. ← Breaking News George Zimmerman Shot in the Face,Karma is a Beyotch!